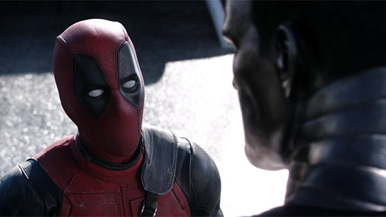 Kim Hollis: What, if anything, does Deadpool do for Ryan Reynolds' career? Felix Quinonez: I think it obviously helps but it's not like he's "THE NEW KING OF HOLLYWOOD." I've already seen a couple of articles exaggerating the importance of this opening. This won't hurt his career in any way but I still don't think that audiences will see a movie just because of him or that all R-rated comic book movies will be blockbusters. I actually think the biggest impact will be seen behind the scenes. Ryan Reynolds will be more sought after by studios and have more pull in Hollywood. I also think that more studios will be willing to greenlight R-rated comic book adaptations now that it's evident that they do have potential to make a lot of money. Ben Gruchow: I think we see a moderate boost to the next one or two studio movies where Reynolds headlines; he is so clearly the central figure to Deadpool's comedy elements that I think we can lay a lot of the critical success (and therefore some of the audience interest) at his feet. I don't think we'll see much more longevity than that, but I wouldn't really have expected that, anyway; the age of movie-star loyalty is over. Kim Hollis: While I do think this puts him in consideration for some better roles, I don't know how much it really boosts him. His track record as likable box office poison makes Deadpool seem an anomaly rather than some sort of breakthrough.